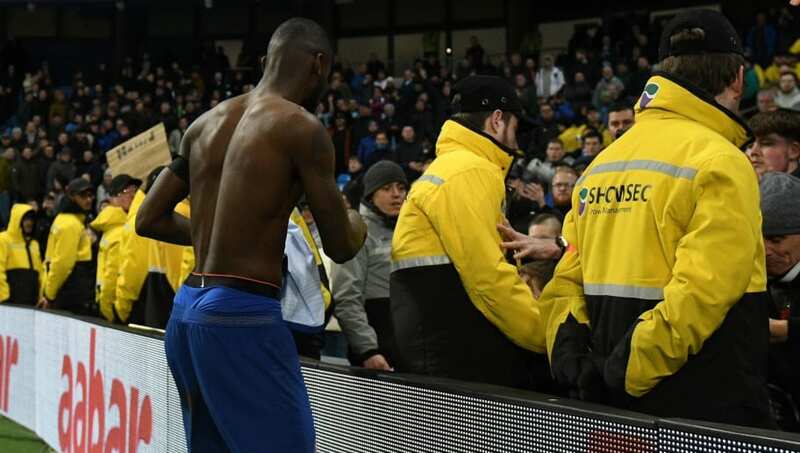 Video footage has emerged on social media of Chelsea defender Antonio Rüdiger arguing with a supporter, following his side's 6-0 thrashing by Manchester City on Sunday. According to the Metro, Rüdiger went over to apologise to the travelling fans at full-time. Evidently, some of the ​Blues fans weren't in a forgiving mood, and an argument quickly erupted between the Germany intentional and a supporter. The report claims that Rüdiger even asked a steward to let the fan hop the advertising hoarding and air his grievances face to face, but this suggestion was swiftly dismissed by the security staff. The 25-year-old went on to hand his shirt to a child in the crowd, and was applauded by a significant proportion of the supporters as he left the field. While his apologies to the fans have been praised by fans on social media, his performance in the game was unforgivably poor. Once again, the 25-year-old struggled to form a suitable defensive barrier with his centre-back partner David Luiz, and is likely to be axed from the side ahead of their Europa League tie against Malmö on Thursday evening. Meanwhile, the Blues are ​reportedly hoping to use their flop midfielder Tiémoué Bakayoko as bait to sign AC Milan's Franck Kessié in the summer. Bakayoko is currently on loan with ​I Rossoneri and has improved his form enormously of late, which has sparked Chelsea's interest in pulling off an audacious swap deal in the summer.